As a merchandiser of the finest in Darigan Toys (and those that my Drackonack has "finished" playing with, meaning they are no longer fit to be in the gallery), I was meandering through other users' shops, checking out prices, when I ran into him. Literally. After picking up our respective purchases, I noticed his keyrings. Actually they were hard to miss! With keyrings clipped to every conceivable surface of his old-fashioned frayed black vest (back as well as front), around his paws, even looped over his ears and the clawed tips of his wings, the elderly blue Shoyru was a walking testament to the colorful variety of keyrings in Neopia. Even the pert eyeglasses atop his nose had keyrings dangling from the temples. "I couldn't help but notice..." I started but he interrupted me with a chuckle. "Yes, I am he," he proudly stated, standing taller. The keyrings gently jangled. He mistook my puzzled look for one of awe and continued, "Yes, it is I, the Great Sho Jangles." "Sho Jangles," I repeated with a nod, although in truth I had never heard the name before. He sidled up to the shop display I had been perusing and lightly tapped a wing claw next to a keyring. "Yours?" he politely inquired, feigning disinterest. "No, I was considering the Darigan Dice Set next to it for my gallery. I collect Darigan toys." "Ah." He quickly snapped up the keyring. After paying for it, he lovingly wrapped it in a bit of tissue and then gently placed it in the well-worn suede pouch by his side. "I'm a bit of a collector myself." He said this with a wink, as if he was making a wry understatement. Of course he thought I knew who he was. Not wanting to be rude or to deflate the old Shoyru's ego, I played along. "You missed this one," I mentioned, pointing to a keyring that displayed a blue Grundo against a red background. "Too common," he sniffed. "Now if it was the green Grundo keyring and she was selling it at the same low price, I might make a bit of a profit." I nodded, then had to admit, "I never paid keyrings much notice." "Ah!" He didn't look surprised. He sadly shook his head. 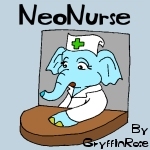 "A lot of you newer Neopians never do. Keyrings don't have the cachet of say, a Draik Egg or the squeezable quotient of a plushie, but they hold a lot of history." "I didn't know that." I decided to wait until the price went down a bit more on the Darigan Dice Cup and turned away from the shop. I was anxious to get on to the next one but the old Shoyru gasped and I feared he was having a fit so I turned back. "Look!" He reverently held up a delicate light blue keyring with a blue Pteri on it. The background was translucent and the light shone through it in a very pretty way. He signaled the shopkeeper over and quickly made the purchase. He carefully wrapped it as he had the others. "This one may have financed my whole day!" My ears pricked up at that. As the main buyer for our shop, I'm always interested in items to sell. "There's profit to be made in keyrings?" He looked at me like I had plushie stuffing inside my head. "Of course, my dear boy! I just bought this little beauty for 25 NP and it's worth at least 3K!" "They all look somewhat alike to me," I admitted. "I don't know a lot about keyrings." "Last year when the Altador key rings came out, now we're talking profit!" the Great Sho Jangles enthused. "You say you collect Darigan Toys? The Altador Cup Darigan Citadel Keyring was the most highly prized of them all and they didn't even win the Cup." "We should have won," I groused, defending my team. "Haunted Woods--"
"That keyring went for a pittance comparatively." He gave a derisive paw wave and the keyrings there jingled in agreement. "At least there's some satisfaction in that!" He started ambling to the next shop and I fell in beside him. We certainly made an odd pair, he in his frayed black vest littered with keyrings and me in my charming Neovian brown suit coat, my red coin purse safely tied to my belt, my jaunty Jake's Fedora atop my head and my smarmy monocle affixed to my right eye. "Keyrings," I mused as we walked. "I've always wondered why there are keyrings in Neopia when we have no keys." "Ah." He warmed to the subject. "But there used to be!" From inside his vest, on a luminous Usukicon Y6 Keyring, he pulled out a golden key with an undulating redness a-swirl at the top. "This Magic Key is the only one left." He carefully tucked it away. Then he started to rant. "Now we have all that magical faerie nonsense with the doors that open and shut at our voice commands. But Fyora won't help you if you come down with Ugga Ugga--just try opening your doors then! You'll have to hope the Water Faerie is having a good day at the Healing Springs and will cure you. Otherwise you'll be sleeping in your neogarden! All that fancy voice recognition faerie magic pops like a faerie bubble shot with a bubble cannon then!" He patted his vest where the Magic Key lay. "But a key will never fail you." "Unless you lose it," I mentioned. "Hence all the keyrings," he said. "The keyrings were to keep all your keys safe and easily found." "You may as well ask why so many plushies, why so many toys, why so many Neggs," he scoffed. "People like variety and what one doesn't like another will. Take this little beauty." He reached into his pouch and dangled in front of me the oddest looking keyring I had ever seen. At the end of a dull metal chain hung a bright orange ball featuring what looked like black almonds pierced with glowing orange eyes. "The Kreludan Grundos love this one! I may retire on my stock of this one. They call it Bizarre Orange Keyring." "Aptly named." I wasn't sorry when he put it away. It gave me an eerie feeling. "But the whole thing was Jhudora's doing," he said. "Like most things that go wrong around Neopia. That's one faerie who loves to cause a ruckus." He had my interest now. I love all things Darigan and even though she's not Darigan, she's evil enough to be our somewhat twisted guardian faerie. And her colours match much better than any of the other faeries, that's for sure. "Yes, back in the days, when Neopia was new, we had doors that opened with keys. And everyone pet had their own keys that came on their own keyrings. You knew what keys belonged to whom. Blue Usuls had blue Usul keyrings; red Kikos had red Kiko keyrings. It was all very simple face recognition faerie magic then until Jhudora got into the mix." "She started making magical paint brushes appear that painted beyond the basic four colors," he revealed. "Oh she was quite clever about it, did it behind some screen name, some Jacko the Painter character she created. Of course, when they could be more than blue, green, red or yellow, everyone wanted to be painted. But once painted, they couldn't use their keyrings anymore." "Well, because the magic was based on face recognition and they were longer painted the color of their keyrings. You may not know this but there are only two keyrings for the painted: Fire Wocky Keyring and Cloud Jetsam Keyring. So unless you were painted one of those and had those keyrings, your keyrings wouldn't know it was you and wouldn't unlock your own doors." "Oh it was quite the mess with everyone screaming they couldn't get into their neohomes and rushing around trying to get unpainted. Some unscrupulous fellow invented a lab ray that could change you back but sometimes it changed your species too or made you a different non basic color so your keys still didn't work. Keyrings were flying high in the shops and trades and auctions, everyone trying to sell what they had, buy what they needed -- it was a very lucrative time for me! Jhudora was so taken with how angry the Usuls looked about the whole business -- you know how emotional Usuls get! -- she made an Angry Usul version in all 4 basic colours. Then everyone else got mad because she didn't make them an Angry version keyring!" He shook his head. "Jhudora was having a field day! She does so enjoy chaos, you know." "Finally Fyora had to step in -- and you know how she hates to have her idyllic reverie in the Hidden Tower admiring all her treasures interrupted -- it's why she prices them so high, you know. She really hates to lose any of them to buyers -- anyway she finally had no choice and had to do away with keys altogether." "That's when she started the voice recognition faerie magic for the doors?" "Yes, it's all voice-based faerie magic now and the key is a retired item at best." The old Shoyru sighed, then perked up a bit. "But the whole beauty of keyrings is not only are they useful holders of keys, but they also represent things, maybe memories, maybe a special accomplishment, a special time. How wonderful is that, to have a little slice of life, right there in your paw. Consider this one." He pulled out a ring with a little plastic Mootix hanging by the tail. "You get it as a prize at Bagatelle. As if anyone ever wins that game! I swear it is rigged!" He repocketed the keyring. "But if you did win one, well, you might want to keep it as a memento of a game well played, or as something not everyone else has. It might make you feel special. Like anything else we collect, it's not just the NP value, it's what it means to us, how it makes as feel as well." I nodded at that. Not everyone enjoyed collecting Darigan Toys. They just weren't cuddly enough for most Neopians, which was precisely why I liked them. "Well, I'm off to the Auctions. I hear there's a Babaa Keyring from a rare item code there with my name on it!" We parted ways and as he jangled off into the sunset towards the Auction House, I considered myself lucky in having run into such an interesting fellow. I stopped at the next user shop to survey their goods. "I see you ran into Sho Jangles," the Gothic Usul shopkeeper noted. "What a hoot that old coot is!" "Er, yes." I couldn't stop staring at her black eyeliner, which seemed to have a life of its own, swirling up from the outer corners of her eyes like the Black Pteri's wing about to take flight. "He's crazy, you know," she confided and I bit my tongue. Her appearance certainly wasn't on the high side of normal! "He thinks he's a legend and he tells the wackiest stories about keyrings! Well, no one's ever heard of him and his stories don't have a shred of proof! " "He does tell a most interesting story," I hedged. "Wish he had stopped here! I have tons of useless keyrings he could've taken off my hands! And they're all priced to go at 50 NP! I should just donate them to the Money Tree; you wouldn't believe how dusty they get..."
As she continued to chatter, I glanced down where her short black lacquered claws impatiently tapped against her display case. I did a double take. Then I did a quick check on the Shop Wiz. He may have been a hoot of an old coot but the Great Sho Jangles certainly did know his keyrings! "Well, I'll take a few of your hands." I charmingly smiled. "Those useless Altador Cup Darigan Citadel Keyrings and the Blue Pteri Keyrings next to it. Oh and that Snappy Poogle Keyring Thingy as well..."